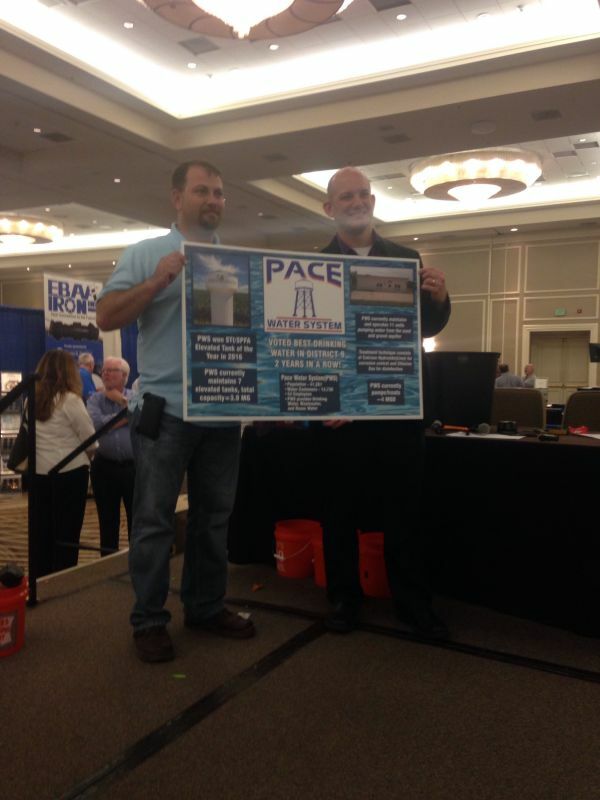 On November 29th, at the Florida Section of the American Water Works Association fall conference, Pace Water System won the coveted title of the People's Choice Best Tasting Drinking Water in the State of Florida. Entries for the contest are the winners from each of the 12 FSAWWA Regions in the state. Region IX consists of the western four counties in the panhandle (Escambia, Santa Rosa, Okaloosa, and Walton). Pace Water System has won the Region IX Best Tasting Drinking Water the last two years running. Congratulations to our employees and members for this accomplishment!